This article is a list of the current Denver Broncos broadcasters. 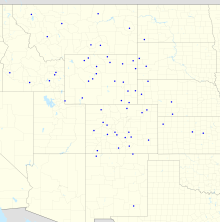 As of the start of the 2015 NFL season, the Broncos' flagship radio station is KOA 850 AM, a 50,000-watt station in Denver, Colorado owned by iHeartMedia. Dave Logan is the play-by-play announcer; he starred for the Colorado Buffaloes before beginning his NFL career, spent mostly with the Cleveland Browns. Ed McCaffrey is the color commentator. Preseason games not selected for airing on national television were briefly on KCNC, channel 4, which is a CBS owned-and-operated station, as well as other CBS affiliates around the Rocky Mountain region, from 2004 through 2010. The games had for years previously been on KUSA, channel 9, an NBC affiliate, and in 2011, the team went back to KUSA, which has higher news ratings. ↑ Saunders, Dusty (2011-05-30). "KUSA on cloud 9 with Broncos deal". The Denver Post. Retrieved 19 June 2013. ↑ "Broncos sign extension with KUSA". Mile High Sports. Retrieved 19 June 2013.